Diving into each of these components will help you figure out the processes and plans and platforms you need to ensure your talent management is a competitive advantage rather than a detractor from your bottom line. However, it’s not enough to simply know these things are important, you must train your people and integrate software to enable each of these processes, as they are not designed to stand on their own. Each piece of the talent management pie relies on other areas in order to work. Want to know the 7 unique components of total talent management? Read on to discover what you need to plan, the systems you can use to do so, and how to start creating your perfect process. You’ll Need: Your organizational chart, your corporate goals and strategic plan and any product-related documents to understand future needs. If you haven't already obtained a copy of your organizational goals and strategic plan, start there. This should give you an idea of the skill sets you’ll need for at least the next 18 months. Executive planning should go farther than this - try a 3 year timeline. We don’t recommend going too far into the future as many companies can pivot or change due to market forces. Grab your employee org chart as well. Hopefully, this is simple to generate from whatever talent management solution you’re working with. If it isn’t, take note for future RFPs. If you can group employees, teams and departments into skill sets you can compare what you have to what you’ll likely need. It’s possible you already have the people and skills you need in place and your largest employee planning responsibilities will be turnover, retention and succession planning. When and if you see gaps, and most companies in growth mode very likely will, make note of the goals and competencies you’ll need. Product roadmaps are also useful during this time, as you’ll want to plan for any new products, services, sales targets, etc that the workforce is responsible for hitting. Note skills you may not have visualized or that seem a little out of range for the present but may prove useful - data scientists and AI experts are both great examples of this. 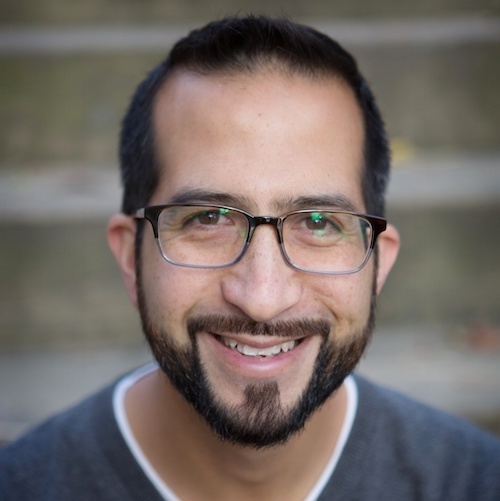 These notations can help you build a talent pipeline before you need it and/or impact the learning and development section. You’ll Need: Your list from the employee planning session, turnover numbers, industry forecast, interview guides, number of talent acquisition professionals, and current recruiting metrics. Sourcing. If your company doesn’t have a sourcing or research function, you can fold it into recruiting or rely on your talent management solution to assist in that area. Interviewing. With the workforce becoming ever more distributed and talent clusters popping up all over the United States, the ability to interview candidates all over the country is fast becoming not just a nice-to-have but a necessity. While there are standalone services that provide video interviewing, they don’t always integrate with the rest of your hiring or talent management platform. Also, keep your eyes open for hiring manager scoring and accountability functionalities. Hiring. The best talent management systems will contain features that make flipping a candidate status over to employee very easy. It should be a seamless transition from offer to onboard. Are you getting what you need from your talent management solution? If you don’t have these 7 things integrated, the answer is NO! @ClearCompany breaks it down. You’ll Need: Your current performance management or review system flowchart, current rating system(s), manager ratings, any employee survey data, company goals and values. When you’ve gathered the above data, decide whether you need to consolidate. Some companies find that different managers are using different systems. If you can tie them together and build a baseline rating system, you’re ahead of the game. If not, look for a system that will scale with your organization. Every talent management system worth its salt should contain a performance management module or capability and the ability for managers and employees to give one another feedback easily. 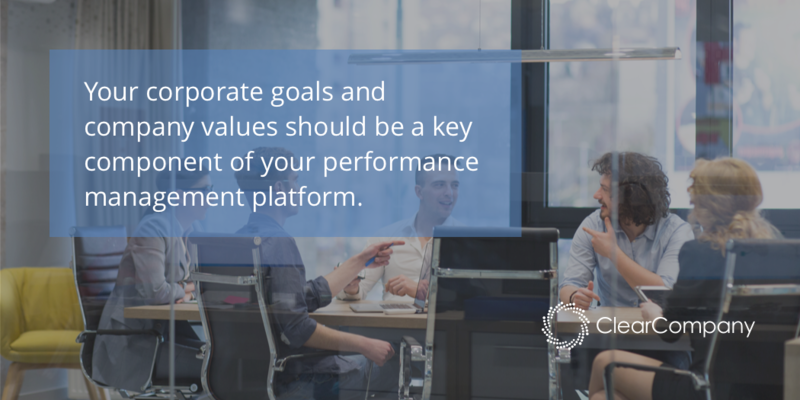 Your corporate goals and company values should be a key component of your performance management platform. If your current talent management system doesn’t allow you to measure employee performance against goals, values or real-time feedback, consider replacing it with a best in class talent management system built for growing companies. Employee survey data, if you have it, is gold. It’s difficult to get employees to take a survey at all, and some companies complete this arduous task only to leave the insights to mold in a filing cabinet. Instead, work toward building that data into your performance management processes. Do you hear the same feedback from multiple employees about a certain manager? Is a certain team a breeding ground for the next company superstar? Noting these things in the performance management and employee feedback system will complete a substantial part of your total talent management platform, impacting learning, succession management and compensation. You’ll Need: Your skillset needs and gaps, any implemented learning platforms and any formal and informal learning tools or services you provide to your employees. Include any activities, tasks and training exercises. You’ll Need: A rundown of your current compensation practices, any spreadsheets that delineate your compensation in near real-time and any rewards and recognition programs used. 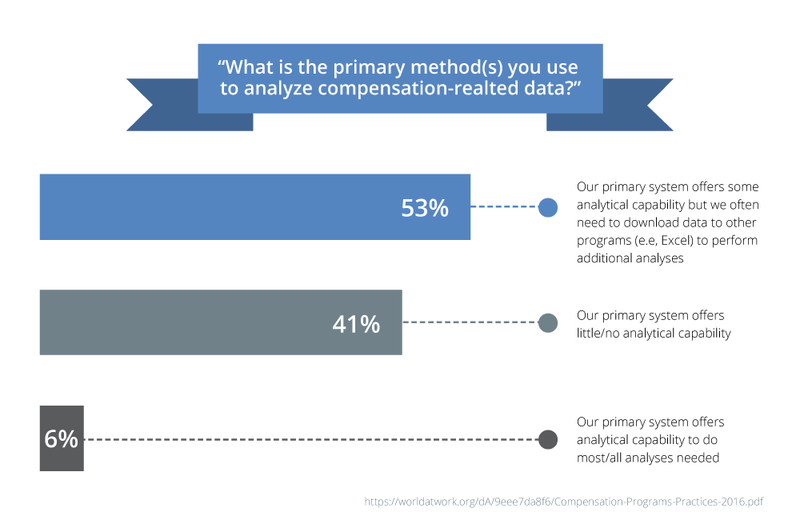 If you are like most companies, even if you have a talent management system, it may not provide the level of analysis you need to run sophisticated compensation models across the enterprise. Many companies still need to use Excel to analyze or calculate their compensation models and philosophies. If this is your situation, place this as another need-to-have in your RFP for your next talent management system. Integrated compensation management is about more than just figuring out models and what to offer your newest employees. Take into consideration rewarding strategic goals with appropriate incentives, acknowledging contributions to corporate success and using rewards and recognition to imbue the employee with intrinsic value. You’ll Need: Your retention numbers, promotional policies, performance reviews and departmental organizational charts or processes. If you have an issue with retention, one of the first places to check is your career development and pathing processes within your company. Talent is frequently lost due to no clear path upward within the company’s departments, teams or even individual areas. Sometimes a company with a robust talent acquisition area might have trouble recognizing who they might hire from within, especially if they haven’t built goals, competencies and measurements into their management processes. In order to do this at scale, select a talent management system that allows you to apply these rubrics company-wide and create career paths that span and cross different departments. While employee development focuses on performance for the company, career development of your employees focuses on where they can increase their skill sets and strengths based on their vision for their career. It’s something many companies don’t spend enough time facilitating when it actually serves as a powerful retention tool. A study by the Work Institute, showed career development was the top reason people leave or remain with organizations. Titled 2017 Retention Report, the study asked 240,000 employees regarding factors that impacted their decision to stay with or leave an organization. This underscores decades of research that prove companies who invest in developing employees have higher market shares and lower turnover than their counterparts who do not invest in career development. Evaluating the employees who are the jewels in your crown will help you understand their traits and will help you look for other candidates with similar traits. You’ll Need: Your organizational chart, your current recruiting and retention numbers and your employee planning documents from your strategic work plan. If career development and pathing are solely focused on the career of the employee, then succession planning stands in contrast as a focus on the business needs. Rather than planning on which employees you’ll hire to fill gaps in skills and competencies, you’ll figure out which employees need to be coached, developed, put through your learning programs and mentored into the roles your organization needs. A proper succession plan will increase the pool of experienced and competent employees who are ready and able to assume increased responsibility and accountability the key roles your company needs will require. Ask yourself which key roles are critical to the success of your organization. Who are in those roles now and when do you anticipate they will move either up or out? Who, if anyone, is prepped to move into those roles? 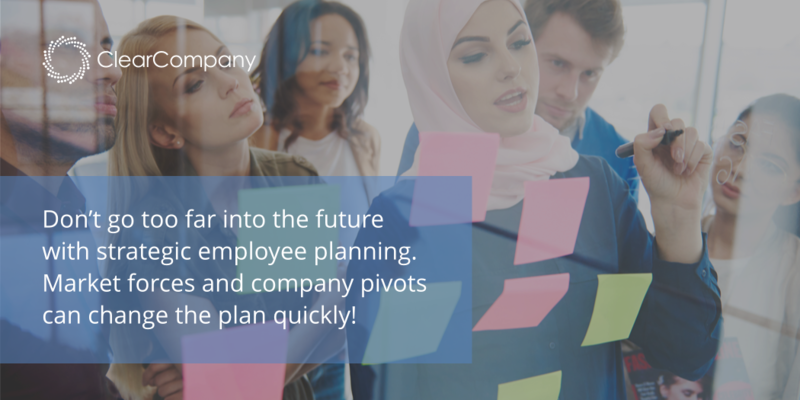 Creating a plan ahead of time helps train the employees poised to move into different and key roles while also creating a smooth path when the unexpected happens or if the transition happens sooner than expected. A great talent management system will allow you to incorporate all of these processes, essential to creating a comprehensive talent management function, in one place. Get a personal walk through of ClearCompany’s total Talent Management System, and see why so many companies are using it to tackle their talent management challenges efficiently and effectively.